Jeff Belanger is the leading lecturer on legends and paranormal phenomena. Jeff brings a suitcase full of evidence, a multimedia presentation, over 20 years of experience, and a lot of personality to the subject of the unexplained making it both entertaining and accessible to a wide audience. In addition to being the author of more than a dozen books published in six languages, Jeff has been on countless radio and television programs discussing the topic. He's lectured at many conferences, libraries, colleges, universities, and other functions around the world. In 2014, he gave his first TEDx talk in New York City, he spoke at MENSA's national conference, and he's an Emmy-nominated television host and producer. Jeff's annual Halloween-season program changes every year. For over 20 years, Jeff Belanger has been exploring the unexplained. He seeks out history, folklore, ghosts, monsters, and legends all over the world and in your backyard. His talk presents highlights from his own adventures, a look at the investigation process, and compelling audio and visual paranormal evidence. Not just focused on ghost stories, Belanger’s presentation will delve into the reasons behind the legends. Based on Jeff's popular PBS television show and weekly podcast of the same name, take a multimedia journey through the history, oddities, paranormal, and just plain weird side of New England. This program is constantly changing and is tailored to include stories from the region where the performance is taking place. Featuring the eerie photography of Frank Grace. 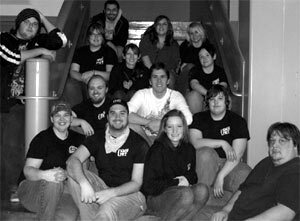 This is a theatre production made for community theatres that typically hold 250 seats or more. This program also involves four other performers. This production is a celebration of ghost stories and legends set to the stunning and creepy photograph of Frank Grace. Bloody Mary, the Hook, White Lady ghosts, the weight of the soul, gravity hills, and so much more. Why do these legends pop up all over the world and force us to explore them? Are talking boards (aka Ouija boards) just a game? Can people reach the other side with automatic writing, through mirror gazing, by pulling out a camera or tape recorder? Jeff shows the method, discusses the history, and displays the evidence. Jeff is the co-author of The Nightmare Encyclopedia: Your Darkest Dreams Interpreted. Learn about the paranormal in your sleep, what your dreams mean, and the symbols and archetypes of our dream world. There are many Yuletide monsters and legends that have almost been lost to the ages. Jeff explores the history of the holiday and the ghostly traditions that date back more than two thousand years. Krampus, the Belsnickel, Tomtens, and who can forget the most famous ghost story of all time: Charles Dickens' A Christmas Carol? "A Creepy Christmas" will make you believe again! This program is NOT suitable for a young audience. 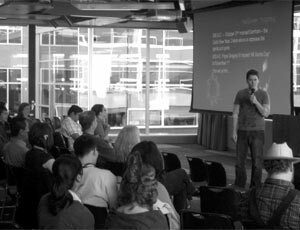 Jeff will tailor a presentation to fit your group's specific needs. With photographs and images, audio and video clips, and a crypt-full of history and experiences from all over the world, the paranormal always packs in an audience -- and Belanger knows how to deliver a riveting lecture. "History is a Ghost Story - The Haunted White House"
"Jeff Belanger is a rock star in the ghost world." "Jeff Belanger is supernatural superstar." "It was standing room only for Jeff Belanger's New England Legends program on a cold March evening. The crowd settled in for a most enjoyable event filled with local history, haunts and humor. Jeff is a wonderful storyteller who leaves you wanting for more. Good thing we are having him return later this year for his Creepy Christmas program." "Jeff Belanger is a natural born storyteller and our entire audience was enthralled with his spooky tales." "Jeff’s presentation of “Ghosts and Legends” was phenomenal. The GAR Hall was full of anxious listeners as Jeff shared his experiences exploring paranormal not only in the United States but around the world. His sense of humor is woven into his lecture making his ghostly stories a little less scary. Jeff is truly amazing, knowledgeable, professional and personable." "If you are looking for someone to discuss the wonders of the paranormal world, look no farther than Jeff Belanger. Hear him talk about the history of the unexplained and its lasting effects on our culture and society. The perfect host for this engaging discussion, Belanger truly captures the audience--believers and sceptics alike--with his humor, passion, and knowledge about the mysteries that surround us." "Jeff Belanger has a following! From the moment his "Supernatural Evening" was advertised here at our college, we began receiving requests for tickets (7 months prior to the show). His presentation was engaging and informative, while his sense of humor, sincerity, and professionalism helped make this a truly "Supernatural Evening." Guests are still thanking us for bringing him to our venue and begging for a repeat performance!" "Jeff Belanger’s Ghosts and Legends Program drew a great crowd at our library. When we booked the program, we had anticipated spooky stories. We were pleasantly surprised to get so much more! His accounts of ghost stories and unexplained happenings were more than a little unnerving, but only part of a larger exploration of why humans are drawn to that which inspires fear. The program was peppered with intriguing supernatural stories from local history; moreover, everyone was surprised by just how laugh-out-loud funny Jeff was as a performer. The adult audience was fully engaged and stayed long after the lecture to ask questions and converse with Jeff. His charismatic personality shone through his recollections and narratives, and made for a very entertaining evening." "Jeff Belanger's presentation on Ghosts and Legends packed our library with believers, skeptics, and the curious. As he reassured the audience that he is not interested in converting anybody, and as he humbly described himself as 'insensitive' to the paranormal, he lowered the barriers that certain audience members might put up to protect themselves against concepts of the paranormal. I'm convinced that he could engage any audience in thinking about why we are fascinated by what haunts us. With humor, and with a wealth of experience in the world of paranormal investigation, Jeff led us on an exploration of a variety of local legends that turned into a journey of psychological and sociological insight, helping us understand our own fears and desires, and how they fit into broader society and history. Finally, he is a model of professionalism, supplying all of his own materials and set-up, and interacting personally and professionally with a wide variety of audience members." "The Library staff and patrons really enjoyed Jeff’s Creepy Christmas presentation. By coincidence, we held our program the night before Krampus Nacht so we are all prepared! Very informative, but entertaining. The hour flew by!" "Jeff Belanger is witty, informative, and sure to please everyone in the audience. He recently came to our library for his "Weird Massachusetts" presentation. It was standing room only and the crowd loved him. We must get him back here again! He was fantastic!" "We were looking forward to "A Creepy Christmas," and we were not disappointed. Jeff's presentation was informative, funny, scary, and ultimately inspiring. As an historian, I loved the way he wove history and folklore together to explain how many of our holiday traditions originated, and how we’ve changed them over time. The program was a huge success, and we look forward to seeing Jeff here again!" "We hosted a Supernatural Evening with Jeff Belanger last night and our full house was not disappointed. Jeff is a wonderful storyteller and natural speaker who is extremely knowledgeable about all things paranormal. He injects humor into his presentation, which the audience loves, and gave generously of his time to answer questions and talk with attendees after the program. On my end, he was a pleasure to work with and greatly facilitated the promotion of the event. The evening was a huge success. I would certainly have him again." "We had an audience of eighty people who were impressed with Jeff Belanger's visual presentation, and they were amazed how knowledgeable and how much he has researched the supernatural. He was available to answer questions and comment on people's experiences in the audience. Personally, I was impressed by his sensitivity in dealing with the supernatural." "Jeff Belanger mesmerizes his audience with his Ghost Stories interjected with touches of humor. Jeff drew one of the largest audiences the Friends of the Taunton Public Library has ever had." "In the ghost world, Jeff Belanger is a rock star…and now he’s officially a fan favorite at the Torrington Library! "A Supernatural Evening" was a smash hit with over 120 library goers in attendance…in the middle of summer! NOT EVEN CLOSE TO HALLOWEEN! Jeff was funny, engaging and charismatic as he delved into the unknown. His personal experiences along with well researched stories of paranormal events and places struck a chord with the audience. AND he spent a generous amount of time after the presentation talking to people individually, taking photos, and signing books. I would recommend him for large audiences, small audiences, and all those in between—any time of the year. We anxiously await Jeff’s return!" 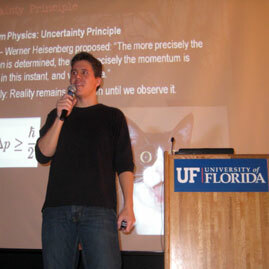 "Jeff presented his “Supernatural Evening” program at our library in January to a packed room of nearly 100. Our staff and patrons loved it and are already buzzing for his return appearance. And Jeff’s talk isn’t just a showcase of ghost sightings. It’s also a thoughtful, well-researched (and funny!) narrative on how ghost stories and folklore seep into our culture and connect us to the past, present, and future. Jeff was a lot of fun to work with, and approachable and gracious to attendees before and after the presentation. Very highly recommended." "Jeff Belanger's Weird Massachusetts program was an undeniable hit at our library. He provided an engaging talk to an overflow crowd and stayed well after the program to speak with patrons individually. As the host for the event, we can say he was also a joy to work with. Thank you again Jeff for a memorable night for our community!" "We were fortunate to have Jeff Belanger and his phenomenal or should I say paranormal? "Weird Massachusetts" presentation a few days before Halloween this year. Jeff is a great speaker, FUNNY, interesting and very engaging with his audience, who thoroughly enjoyed him. We also have the distinction of being the 100th library that he has entertained during his career. We definitely plan to book him next year for a 'Supernatural Evening!'"" "I am so pleased that Greenville Public Library was able to host Jeff Belanger. Our registration filled up within a week and the full house loved his presentation of “A Supernatural Evening”. Not only were patrons raving about the presentation, they are already hoping he will be back next year! Jeff Belanger was gracious with our attendees, taking time to introduce himself to each person as they entered the program room and leaving plenty of time to answer questions from the eager audience and meet with folks afterward. Highly recommended! " "Thank you for your exciting performance of 'An Evening of Ghost Stories and New England Legends' at The Company Theatre! It was a sell out! Our patrons were thoroughly entertained by your program. They mentioned to me their gratitude regarding the amount of time you spent with them after the show! The staff were appreciative of how professionally and easy your group was to work with, thank you." "Our library hosted Jeff in September 2016 for his program called 'A Supernatural Evening with Jeff Belanger' and we had a fantastic turnout. There was standing room only in our meeting room, and our audience raved about this program. Jeff is very well prepared, personable, has a great sense of humor, and he now has many fans in our community. His presentation was fascinating, informative and completely entertaining, and it included film clips from his PBS shows. He is quite an engaging speaker and showed a great deal of caring and patience with our patrons after the event, spending lots of time answering their questions and autographing books. I have already booked him for next year to celebrate Halloween as I know his talk will be a sure sellout! Jeff is a great speaker who I can heartily recommend, and he is a pleasure to work with." ""A Creepy Christmas" is a must-see presentation from the multi-talented Jeff Belanger. Fun, informative, with plenty of humor and horror, Jeff had our history museum crowd cringing, laughing, and learning about some of the long-forgotten Christmas ghost stories from around the world. Highly recommended for everyone (except young kids). We’d love to have Jeff back anytime!”"
"Jeff delighted fans of the paranormal and skeptics alike with his sense of humor and his engaging, conversational approach. Best of all, we didn’t need to wait for October to book him; his Ghost Stories and Haunted Places lecture was grounded in history and storytelling, which was perfect for the program series our library was running in the spring. He’s a writer and a researcher at heart, and he shares his stories with enthusiasm." "It was an absolute pleasure to have Jeff come speak to our Paranormal Research group at the University of New Haven for a second time! He was incredibly charismatic, friendly, and engaging and was able to share his experiences and stories in an incredibly entertaining and compassionate way. His extensive knowledge of local legends, paranormal investigation tools, and haunts in our own backyard is nothing short of impressive. You can definitely tell he is passionate about the paranormal field and we look forward to having him back again!" "Jeff Belanger drew a full house to our small town library. His stories were unique and engaging and his authentic warmth, sense of humor and stories caused the audience to settle in and hang on his every word, while building curiosity and the urge to learn more. Jeff's honest accounts and research into stories and legends made him a one of a kind presenter . He encouraged skepticism and questions about the supernatural while making his enthusiasm for history and mystery contagious.Jeff was also really welcoming of conversation and making connections after the presentation. He got lots of personal stories and gestures of appreciation. We received a large stack of feedback forms about Jeff's program filled with rave reviews and requests for more programs like this one. However, he may be really tough to top!" "Jeff Belanger’s 'Supernatural Evening' attracted a large crowd, many of whom were huge fans of his from his TV appearances. One young woman remarked afterward, 'This was the best moment of my life!' What librarian wouldn’t want to hear that from a teenager in the library? When a program can attract a diverse audience of young and old, and is presented with professionalism, ease, humor, and great stories about the paranormal, you will have a hit! I recommend Jeff’s program to every public library!" "Jeff presented "A Weird Massachusetts Evening" to a standing-room-only crowd at the Fall River Public Library. Not only was he entertaining and engaging, but he speaks with such humor and genuine passion that the audience was completely enthralled, start to finish. Jeff was wonderful to work with; professional, courteous and accessible. I wholeheartedly recommend Jeff’s presentations to anyone wanting fun, quality programming for their Library or organization. Thanks Jeff!" 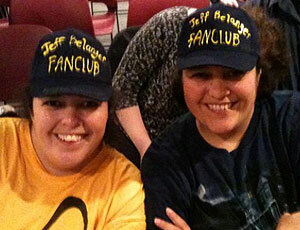 "Jeff gave his Weird Massachusetts talk to a packed room of people who raved about the event to our desk staff. Jeff was funny, entertaining, and informative and had a great rapport with the audience. We hope to have him back!" "Jeff Belanger’s programs are always a huge hit at the Bridgewater Public Library! His Supernatural Evening was a great way to kick off the Halloween season. He was very professional and organized leaving no stone unturned. All our patrons left with rave reviews! I highly recommend Jeff." "Jeff entertained an audience of nearly 100 people on the strangeness of "Weird Massachusetts" at the Walpole Public Library. As a result, we want him back next year. He brought his own audio/visual equipment, was professional, and more importantly, put on a thoroughly entertaining show. He drew one of our biggest crowds and then stayed an extra hour listening patiently to anecdotes of members of the audience, always responding with good humor and posing for pictures. It was not at all what I expected -- a fun evening and a smash hit!" "The Supernatural Evening in July had a great campfire story feel to it. It was the perfect summer evening entertainment, and our patrons really enjoyed it!" "Jeff kept our audience engaged and entertained! He is able to share his research and explorations in a fun, curious, and compassionate way. We look forward to having him come back!" "Jeff Belanger packed the room at Kimball Public Library. 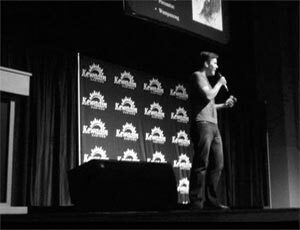 He kept the audience riveted as he showed ghostly images, video clips, and talked about mysteries of the unexplained. Entertaining and engaging he demonstrated his vast knowledge of the paranormal as he touched upon folklore, myths, legends, and hauntings from his investigations around the world. He left his audience enthralled as evidence by their steady stream of praise." "I want to thank you so much for your great presentation, “Weird Massachusetts” on Nov 13th. The publicity for your program brought in several new people to our lecture series. They, along with our regulars, were treated to a professional-quality talk. Jeff, you are an excellent speaker and your subject matter was well researched. Thank you for your informative and entertaining presentation." "Jeff Belanger is not only knowledgeable about his field, but also engaging and entertaining. I consider him to be one of the best speakers out there. He is personable and talented, and is a natural speaker that draws in a crowd again and again. It is my great pleasure to have him at my own events, and to watch his presentations at others." 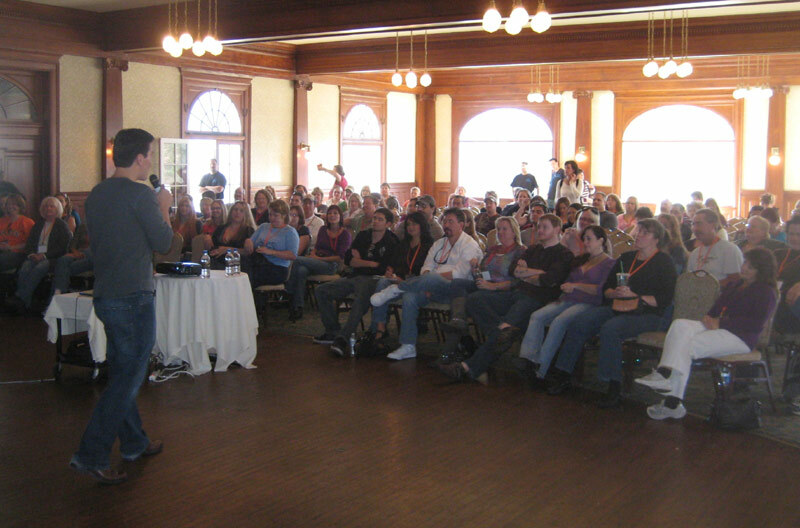 "Jeff Belanger is one of the most talented, engaging, enlightening, and entertaining speakers in the paranormal field. He is always a highlight, and loved by attendees of all of Darkness Radio Events." "Jeff Belanger is one of the most entertaining and informative speakers on the paranormal. His impressive background as an author and journalist combined with his sense of humor and personality are the reasons we not only brought him to our first conference, but are bringing him back again. He offers a fantastic multimedia presentation and makes himself accessible and available to the audience throughout the event." "A Supernatural Evening with Jeff Belanger rocked our library! We packed the room (75+), and our patrons gave rave reviews with a resounding chorus of 'Bring him back!' Jeff is a passionate and engaging storyteller, with a great sense of humor. He is also extremely professional and wonderful to work with. If you want to bring new faces into your library, Jeff is the man to do it!" "We had Jeff Belanger’s Weird Massachusetts program as part of our summer adult program. Jeff is a true professional. He came early and stayed late, answering questions and personalizing books. He kept a huge crowd riveted for well over an hour. We had a packed community room, and had to keep bringing out more seating, which is a great testament to his draw as it was a beautiful summer evening. His program is highly entertaining and engaging and drew many new faces to the library. This was our first program with Jeff Belanger, but it definitely won’t be the last!" "A Supernatural Evening with Jeff Belanger was one of the most successful programs our library has ever hosted! We invited Jeff to fit in with our spooky summer reading theme and he was definitely one of the highlights of the summer. We had a packed house and an enthusiastic and engaged audience. Jeff was funny and knowledgeable and our audience was thoroughly charmed. The evening was such a success that we knew we had to book him again for October." "Cannot say enough positive things about Jeff Belanger and his Weird Massachusetts program. Having lived in Massachusetts most of my life, I still learned about places and events I had never heard of before. Our patrons loved it (and him) and we have gotten a lot of great feedback; we will definitely invite Jeff back again. Unique and appealing programming is definitely hard to find, and Jeff is it.”"
"A Supernatural Evening with Jeff Belanger has to be one of the most entertaining programs we’ve had in a while. Jeff is energetic and engaging. He kept the audience’s attention throughout the program. You can tell he loves what he does, the enthusiasm is infectious! The legends and paranormal evidence were awesome! We had a packed house of 150+, standing room only! Jeff’s program was A-1." "Jeff's "Weird Massachusetts" program filled our community room to the brink! Our patrons are still raving about the interactive presentation! Jeff is a great guy who knows how to work a room. It was by far the most successful Adult Summer Reading program we had all summer long!" "Jeff's presentation was very interesting and entertaining. His sense of humor put the audience at ease and was a great accompaniment to all the weirdness around us. It was funny to see how the audience bonded and felt pride over the oddities of our state." "Not many speakers at this library have attracted a crowd like Jeff Belanger. Thank you! "Legends of the Supernatural" was our most successful program this year -- people showed up early, filled every seat, stayed late, and even asked to get their pictures taken with him. Jeff is a pleasure to work with and has a knack for joking with the audience. We were so pleased with the turn-out that we invited him back this Spring to present his "Weird Massachusetts" program. Jeff has a supernatural ability to pack the house!" "Paranormal programs always fill our library conference room – and Jeff was no exception! He entertained, while giving people some things to consider outside the “normal”. Jeff explained how Legend Tripping is something anyone can do, and that most legends fact based. Jeff certainly added to our Adult Summer Reading Program schedule this summer!" "Jeff's program, 'Weird Massachusetts,' was just the ticket after the Blizzard of 2015--funny, informative and, above all, weird (in the best sense of the word.) Our audience was very entertained and the story about the Pease family from October Mountain was so touching. Very highly recommended!" "Jeff's program was both informative and fun! We had an overflow crowd and the feedback has been wonderful. Hope to have him back soon." "Jeff has been my favorite paranormal author for years and I finally had a chance to see him present in Chicago. Imagine my happiness when I found out that my favorite author was as intelligent and amusing as he seems in his writings. His presentation stole the show, and that's when I knew I needed him at our event. Two years later we had him booked for the 2nd Annual Michigan Paranormal Convention. Jeff was going to be part of a paranormal lineup of speakers that was made up of leaders in the field of writing, research, and TV stars. Two full days of lectures, presentations, and Q&A's -- the largest lineup in the Mid-West! Imagine once again my happiness when I saw Jeff come out of the weekend as one of the top presenters! The crowd loved him. We have received so much positive feedback from his appearance at our event. His presentation is tight, full of information, and best of all.... FUNNY! But beyond that, Jeff is not a presenter who will do his time on stage, sell some books, and that is the last you will see of him. Jeff was available to the fans all weekend long, taking pictures, telling jokes, and listening to anyone who had a story to share. As an event organizer, it's those extra miles that presenters do that adds so much more to events! Jeff Belanger is a MUST for your next Conference, Convention, or Lecture!" "The first time I heard Jeff Belanger give a presentation was at the Mount Washington Hotel in 2009. Since that time, I have attended numerous lectures and events hosted by Jeff. He is so passionate about sharing with others his knowledge of the paranormal, that his attitude is downright contagious! Being the prolific writer and researcher that he is, Jeff is continuously seeking for more information and hard evidence to share, present, and write about. Because of this he is one of the most well-respected and requested speakers in the paranormal community. Whether or not you believe in the paranormal, go see Jeff Berlanger. He will entertain you, enthrall you, and leave you wanting to know more." To inquire about booking Jeff Belanger for your supernatural evening, please contact us via email at: media2@jeffbelanger.com, or call the Ghostvillage.com office at: +1.508.966.5057. Any events that Jeff is speaking at receive a lot of promotion through this Web site, Jeff's social media sites, as well as Ghostvillage.com. If Jeff is at your event, he'll let the paranormal world know about it. Enter your email address and you're in! All material © 2014. All rights reserved.